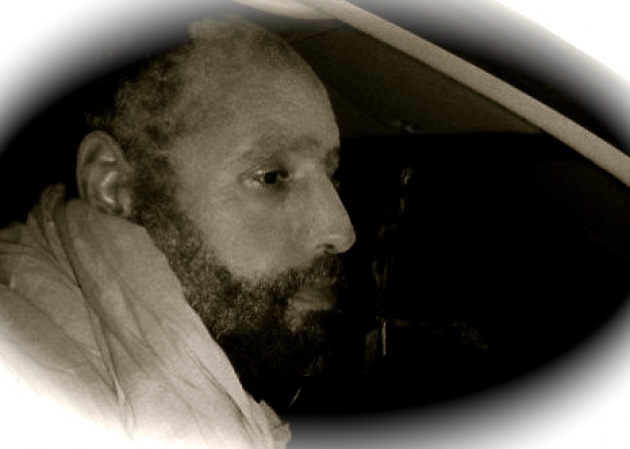 After a meeting authorized by Libyan authorities with Saif al-Islam Gaddafi (Above), 4 ICC staff/affiliates have been “arrested” by Libya “authorities”/militia-perhaps a mere misunderstanding or very different views of what constitutes “rule of law” and “due process”. 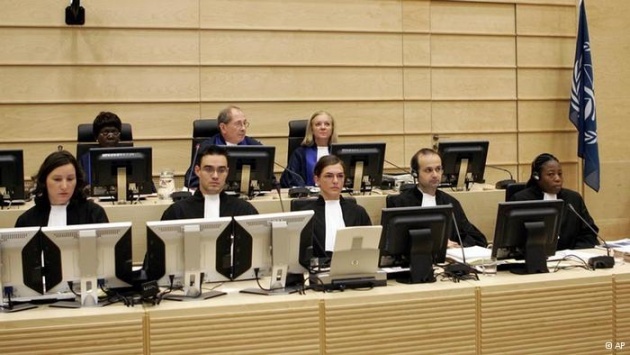 The four ICC staff arrested include defense counsel appointed by the ICC. See our Blog for Video -"Will ICC Assume More Libya Responsibility?" According to the Libyan Zintan Brigade, really a militia, the ICC staff was arrested for passing “dangerous documents.” The episode is even more strange as the ICC staff had been refused the meeting with Saif in private contrary to the normal protocols of legality. A Libyan foreign ministry official indicated that they would ask the ICC to lift the immunity that goes with Melinda Taylor's, (one of those arrested and purportedly in possession of the “dangerous document”), status as an ICC official so they could proceed with their investigation. The Zintan Brigade also claimed to have found a camera on a translator who they accused of having falsely portrayed herself as a nurse. "It is an act that is jeopardizing the national security of Libya and we are taking it very seriously," according to the Libyan Foreign Ministry official seeking Taylor’s waiver of immunity. However, from the perspective of both the UN Security Council and the ICC it is Libya that is evidencing the lack of capacity, perhaps understanding of the “Rule of Law” consistent with the standards that would allow for a fair trial for Saif. Think it will be difficult for ICC to give Libya the benefit of the doubt or even approve a trial for Saif in Libya. From the outset, while we have seen Gaddafi’s removal as a positive, it is evident that the Libyan Revolution is immature and/or incomplete. See our Blog for Film – “Is Libya Complying with ICC? Four staff members of the International Criminal Court (ICC) have been detained in Libya, since Thursday, 7 June. 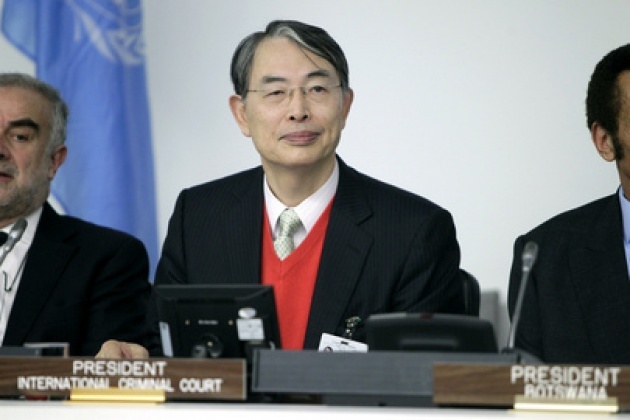 The ICC President, Judge Sang-Hyun Song, requests their immediate release: “We are very concerned about the safety of our staff in the absence of any contact with them. These four international civil servants have immunity when on an official ICC mission. I call on the Libyan authorities to immediately take all necessary measures to ensure their safety and security and to liberate them”. The ICC is communicating with the relevant authorities of Libya to ensure their release. In accordance with the Pre-Trial Chamber I decision, dated 27 April 2012, the delegation travelled to Libya on Wednesday, 6 June, to meet with Saif Al-Islam Gaddafi in Zintan, in part as a privileged visit by the Office of Public Counsel for the Defence, currently appointed to represent Mr Gaddafi in the case brought against him. The delegation also included members of the ICC Registry with the view of discussing with Mr. Gaddafi the option to appoint counsel of his own choosing. Libya made a submission to the Pre-Trial Chamber ensuring that it would facilitate access to Mr Gaddafi by his lawyers. This agreement has been further confirmed during the contacts between the Libyan government and the ICC Registry. 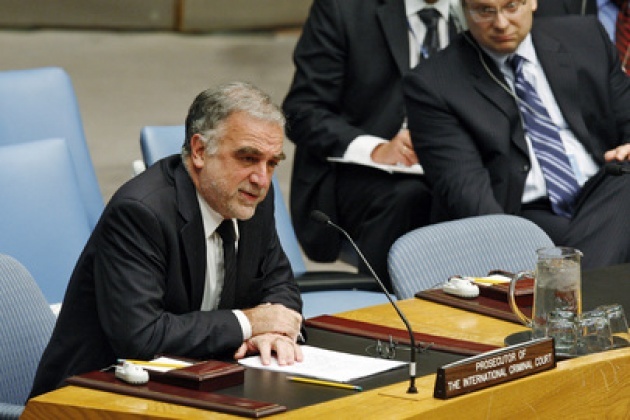 In accordance with the unanimous resolution 1970 of the United Nations Security Council, which seized the ICC with the Libyan situation, Libya has the legal obligation to fully cooperate with the ICC, including the respect of the legal regime imposed by the Rome Statute which emphasizes the rights of the suspects to have privileged contacts with their lawyers. The ICC hopes that the situation will be speedily resolved in the spirit of the cooperation that has existed between the Court and the Libyan authorities.